Picking the right Bluetooth speaker can be an exercise in futility, but today Amazon is making it easy. The popular Oontz Angle 3 Ultra is on sale for $27, the best price we’ve ever seen and nearly 75 percent off its $100 MSRP. This compact speaker is built to take your tunes along wherever you go. At just 15 ounces and 6.4 x 2.8 x 2.8 inches, it’s easy to toss it into a bag. And if you happen to be heading outdoors, this speaker can handle that too—it’s weatherproof, with a water resistance rating of IPX6, which means it can take a solid spray of water. Up to 20 hours of battery life keep those tunes coming all day long, while a built-in mic means it can double as a speaker phone. And if you want to play music from a non-Bluetooth-enabled device, an auxiliary jack allows you to hook up an external audio source. We haven’t tried this speaker ourselves, but it’s a hit on Amazon, with 4.4 stars out of 5 over more than 2,100 user reviews. You can check out our roundup of the best Bluetooth speakers for a wide array of other options as well. 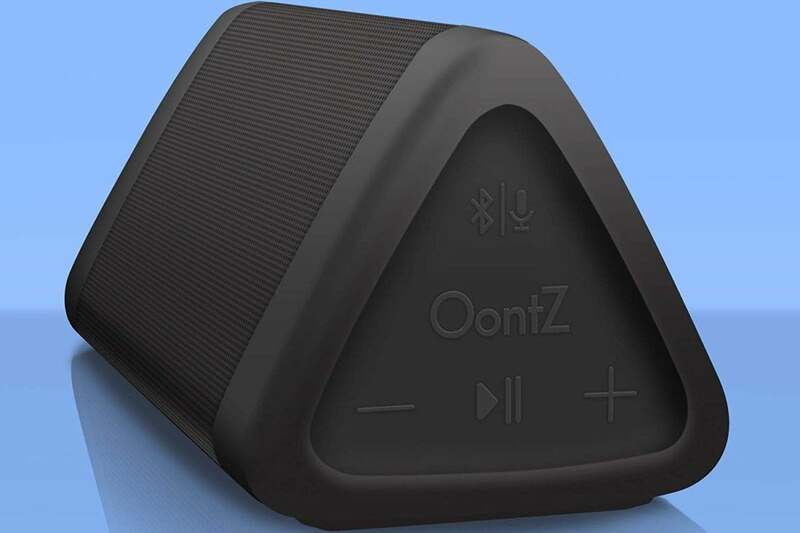 This story, “The $100 Oontz Angle 3 Ultra Bluetooth speaker is on sale for nearly 75% off today” was originally published by TechHive.